Automated thread gauging units (AGUs) are hot. During the third quarter of 2016, Autonetics shipped ten (10) AGUs to pipe mills across the USA. The downturn in the oil & gas industry is causing more OCTG pipe mills to evaluate better ways to operate and pipe thread measurement is an area that needs to improve. Current thread gauging is manual, unreliable, and costly. Since plants are slow, now is the time to improve operations without impeding production. Why are the automated thread measurement gauges for Oil Country Tubular Goods (OCTG) pipe so popular? Automating thread gauging helps pipe mills improve efficiency by increasing productivity and lowering operating costs at the same time. 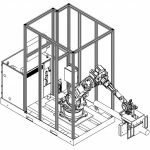 Each automated thread gauging unit removes personnel from the OCTG pipe inspection area, lowering training costs and eliminating error-prone, dangerous manual inspection. Safety – reduces exposure to accident claims in a very high-risk task. Safety/Product Liability – a better product reduces problems, claims, and additional costs in the field. Traceability – Every pipe is checked, increasing the value of the end product. Traceability – The data captured during inspection enables mills to better evaluate upstream production. Payroll – reduces all costs associated with two (2) employees per shift. Productivity – by measuring every pipe, each AGU performs the work equivalent of 10+ quality inspectors. 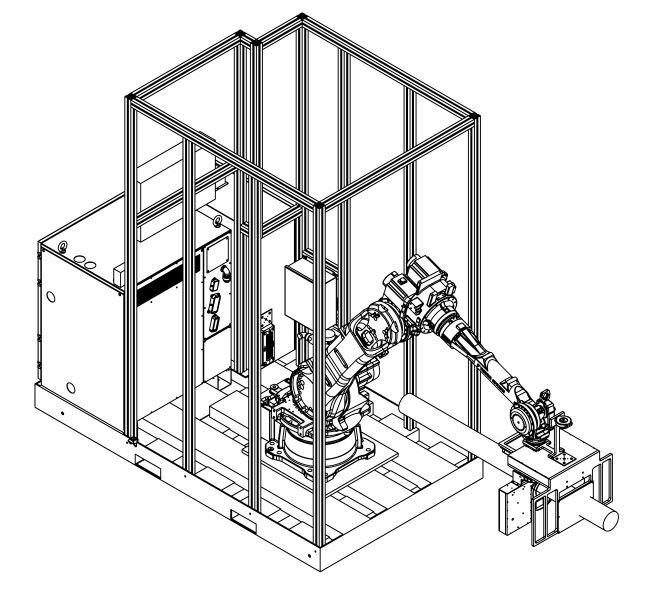 Autonetics AGUs are turnkey solutions and include robotics, controls, touch-screen monitors, metrology software, and thread measurement gauges. 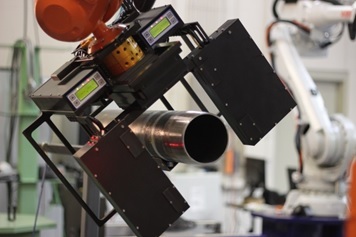 Each robotic cell is capable of inspecting OCTG pipe threads sized from 2 3/8” to 16” within tight cycle times without impeding production. 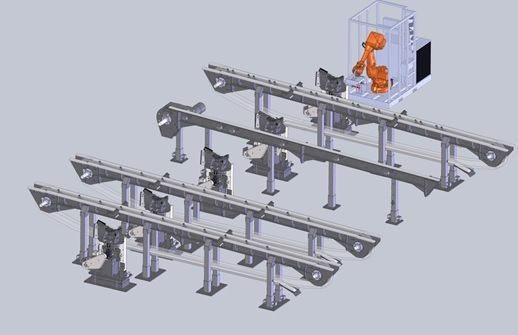 Instead of measuring one (1) of every ten (10) pipe, the Autonetics robotic cell allows OCTG pipe mills to measure every pipe during production. Upon pipe thread measurement, the system records all data real-time. 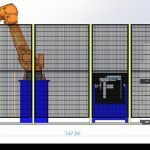 The automated thread measurement data is used to produce trend graphs that illustrate tooling wear over time and identifies upstream production setup issues. All thread gauging data results are stored for 100% traceability. Automatic thread measurement also allows OCTG pipe mills to validate all API and premium thread callouts, letting their clients know that quality threads are an integral part of their manufacturing process. 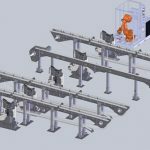 Real-time thread gauging measurement data is also relayed to the CNC pipe threader to calculate the required tool adjustments, statistically control tool corrections and maintain acceptable tolerances in production. Exported results from the gauge can also be sent to a local database, an OPC server or a web service. Autonetics AGUs are custom designed for each client. 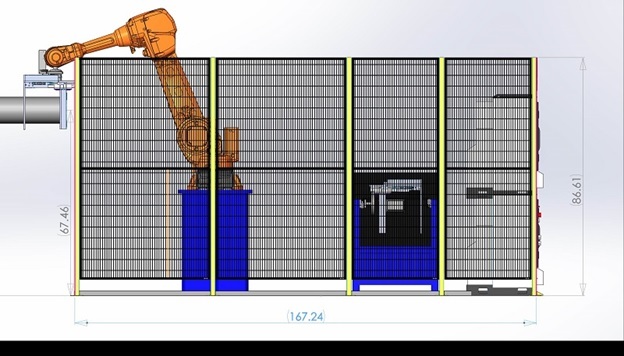 The footprint needed for an automated thread measurement gauge on the pipe mill production line is as little as 3 ft x 3 ft. Control cabinets can be installed remotely to limit the space requirement on the production floor when necessary. Autonetics will demonstrate the automated thread measurement gauges at Houstex 2017. Houstex will be held at the George R. Brown Convention Center in Houston, TX from Feb 28 – Mar 2, 2017.